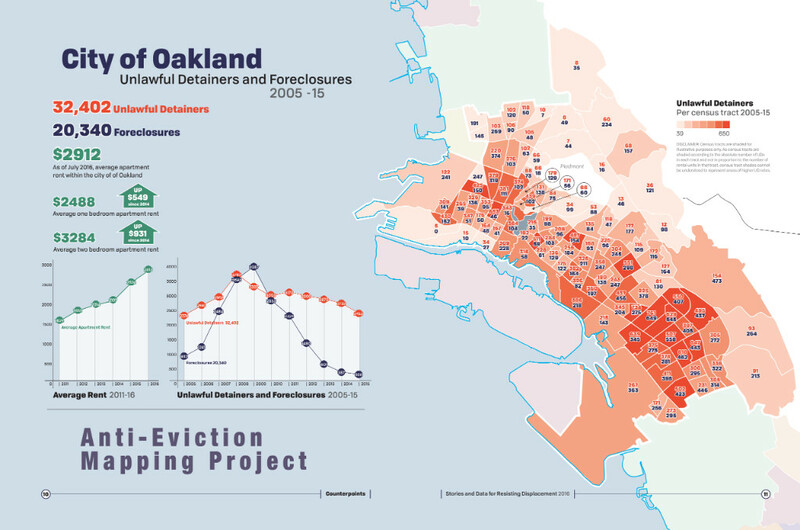 The Anti-Eviction Mapping Project (AEMP) is a data visualization, data analysis and storytelling collective documenting the con- tours of gentrification in and beyond the San Francisco Bay Area. 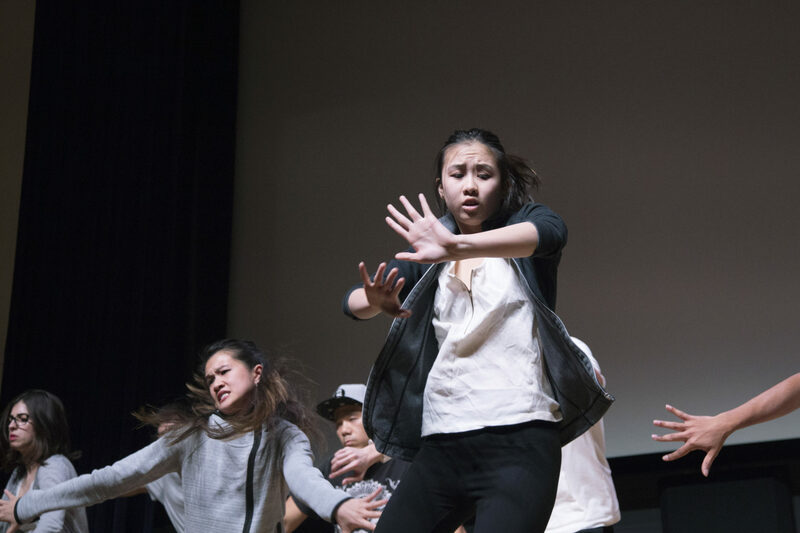 The project emerged in 2013, focusing on connections between San Francisco real estate speculation and forced displacement, but has since grown in both its geographic scope and methodology. 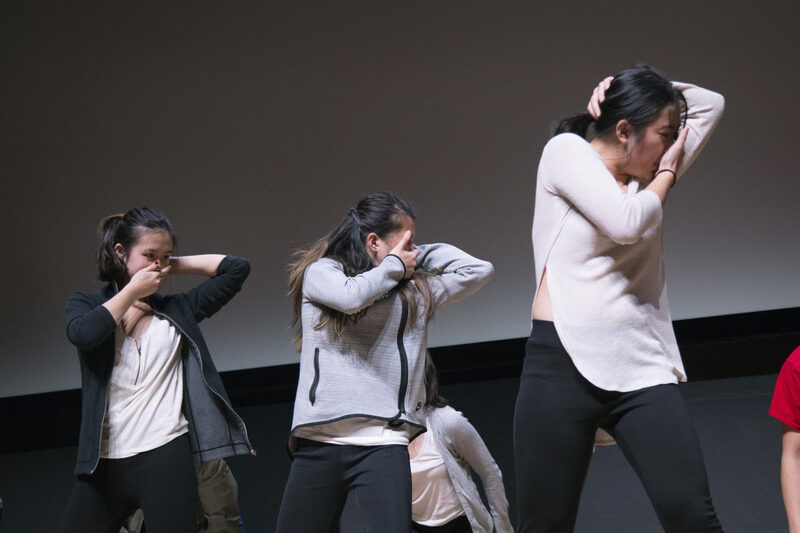 Working regionally, the project now studies the intersectional causes and effects of displacement, while also engaging in narrative mapping work. At times we analyze correlations between rent- al prices, evictions, and demographic mutation, making use of city and county official data sources; in others, we crowdsource data in the forms of survey, oral history and video work. We firmly believe that no one data set can ever do justice in describing the intricacies and entanglements of what is often discoursed as gentrification in the spaces in which we work, and not even the combined data sets that we work with can fully narrate a history of the present. Never- theless, we hope that by releasing an array of geospatial visualizations, regional stories of urban dispossession become more lucid. Over the last four years we have produced over 100 digital counter-cartographic pieces, over 100 oral histories and video works, several reports, murals, projection projects, protests and community events. The conclusions and questions that we invoke in our cartographic projects are conceived of collectively, amongst AEMP members and in collaboration with our community partners. Inevitably, we bring our own situated knowledges to our analytic approach, and as such invoke feminist, antiracist, and decolonial spatial analysis, embracing what we articulate as an abolitionist perspective on private property. In doing so, we practice what Kim Tallbear (2014) describes as “objectivity in action” or inquiring not at a distance but as situated within the spaces we study. As such, we find it important not to produce data “for” impacted communities – but with those experiencing the violence of contemporary gentrification. The AEMP recognizes the representational power of maps and strives to create ones that reveal a counter-history to those employed by the speculators of real estate and Silicon Valley technoutopics. As we have found, disproportionately, those being evicted from their homes throughout San Francisco, Alameda, and San Mateo counties are Black, Latinx and working-class communities, along with female-headed households, elders and youth, yet inversely, those moving to the region to work in high-paid technology jobs are young white men. 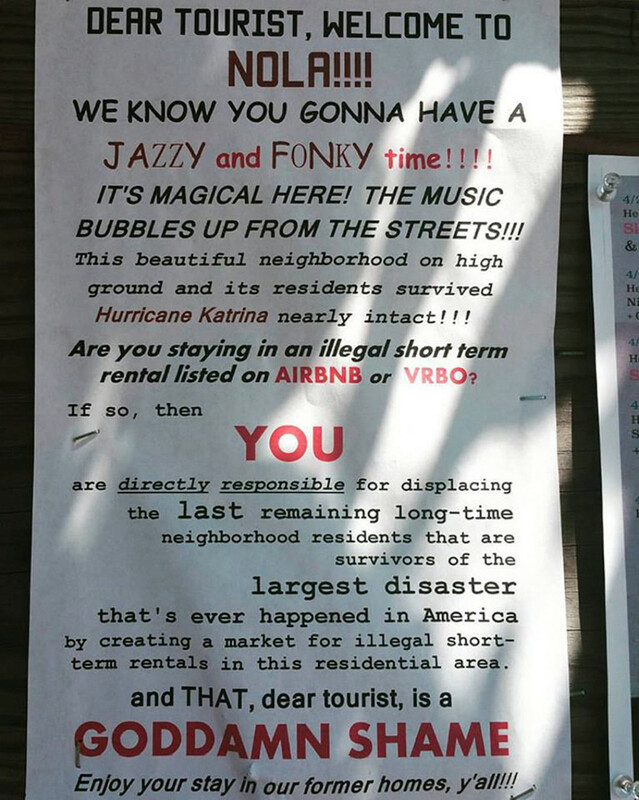 Thus, we endeavor to highlight the racial and gendered logics of Bay Area real estate and Silicon Valley incited gentrification while also remaining attentive to the histories that have led to the current moment in which, for instance, evictions are at an all-time high in San Francisco, and in which rents are growing faster in Oakland than in any other US city. These histories range from settler colonial ones beginning in the late 18th century to those of 1930s redlin- ing federal projects that constituted conditions of racial segregation and racialized disinvestment, to Cold War histories that fomented Silicon Valley regional dominance. Although our work is largely Bay Area focused, we are increasingly contextualizing our data and maps within broader ones. As the US is being reconstituted by a president and administration built upon white supremacist relationship to private property, our current work seeks to undo the racial logics that have, from the earliest colonial moment, fomented racialized dispossession. At the same time, we seek to produce new maps and data that respond to the current moment, studying past and likely future loss of Section 8 and public housing, the demographics of displacement, the entwining of real estate and Silicon Valley grammars, and the power of community resistance. We launched our online oral history map alongside the release of our mural in 2015. At the time, the oral history map only contained 30 interviews, geolocated upon an interactive interface. 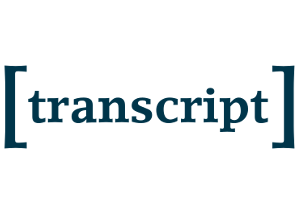 At this point, we have recorded over 100 life stories detailing gentrification spatial struggles in San Francisco and Alameda counties. Our mural highlights nine of the San Francisco stories with a call-the- wall feature so that viewers can call a number (+1-415-319-6865) and hear the featured stories. 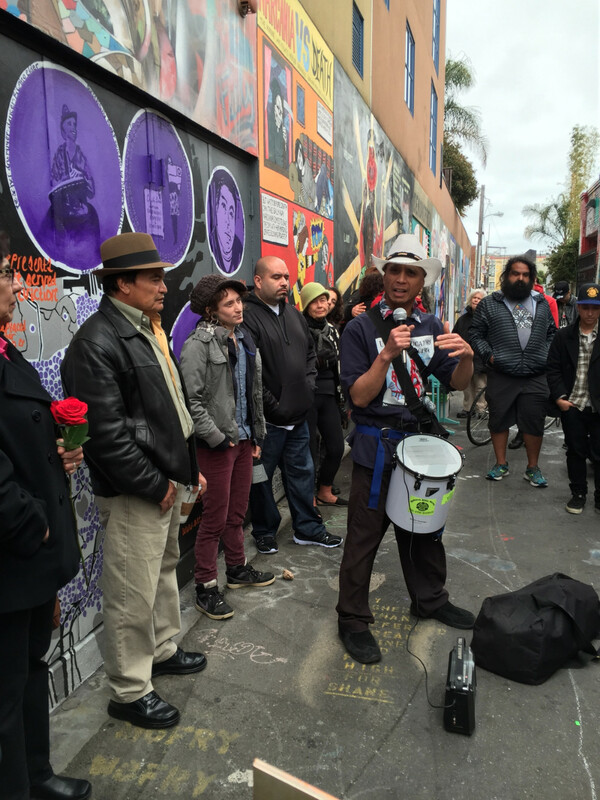 At the time of the release of the mural, many of the tenants featured were still in their homes as a result of direct action, and so their stories serve as direct action tools, with methods, inspiration and analytics useful in fight- ing displacement. We also included the story of Alex Nieto, who was killed by the police in 2014 as a result of gentrification when newcomers to Bernal Heights racially profiled Alex and called the San Francisco Police Department. 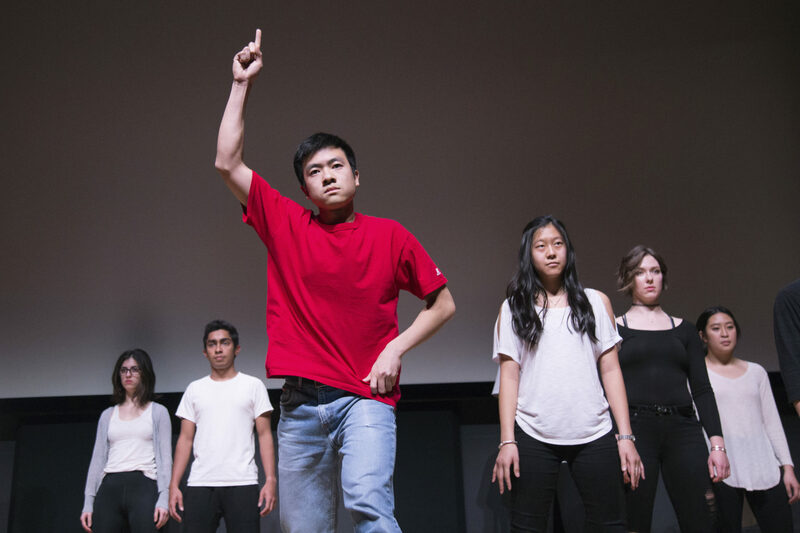 We included his story, narrated by his parents, to mark the intersections of racialized policing and gentrification. The mural also sits directly across from the po- lice station, so its own geolocation is apropos. When we released our mural and oral history map, we also released a zine project that we had been working on for over a year, which included po- etry, photographic, drawing and story submissions as well as transcripts of oral histories and know-your-rights resource guides. 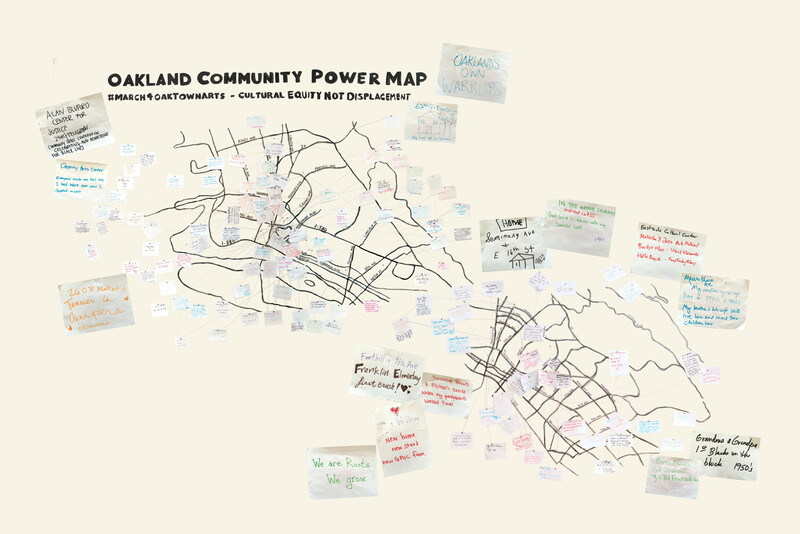 As part of our partnership with the Oakland Creative Neighbor- hood Coalition, in 2016 we created a Community Power Map in Oakland’s Betti Ono Gallery. This collaborative map was an endeavor in reframing conversations about the Bay Area, so we didn’t only talk about loss and destruction but also about community as- sets worth celebrating and fighting for. The base layer for the map in the Betti Ono gallery was collectively drawn by AEMP and Betti Ono members on two walls, representing Oakland’s geography. Following this, members of the public entered the gallery, adding respective assets and markers of community power to the wall. Additionally, since dismantling it, we’ve created other Community Power Maps throughout the Bay Area, work- ing with youth groups, anti-eviction coalitions and more. But for us, the idea of creating these power maps stemmed from an Oak- land-based collaboration in which it was asked of us to think beyond normative pessimistic framings of contemporary Oakland. The digital map is now also part of a report we produced with the statewide tenant advocate group Tenants Together in 2016, titled Counterpoints: Stories and Data for Resisting Displacement. TallBear, K. 2014. Standing With and Speaking as Faith: A Feminist-Indigenous Approach to Inquiry. 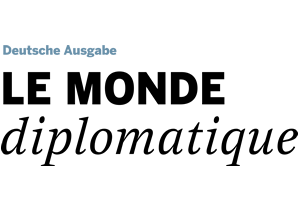 Journal of Research Practice, 10(2). jrp.icaap.org/index.php/jrp/article/view/405, 14 January 2018. 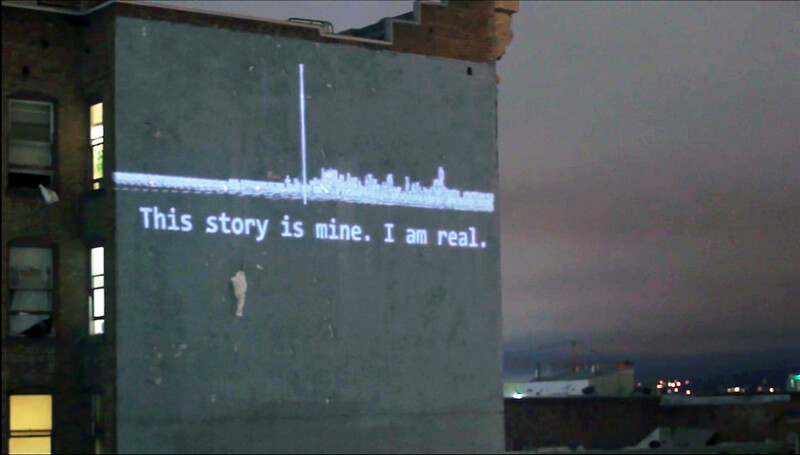 This Light Atlas projection is part of a collaborative project conducted between the AEMP and the Saito Group, which involved crowdsourcing eviction narratives and oral histories, and then transcribing them and weaving them together in political-poetic texts.These were then projected upon San Francisco buildings, along with information on fighting evictions. 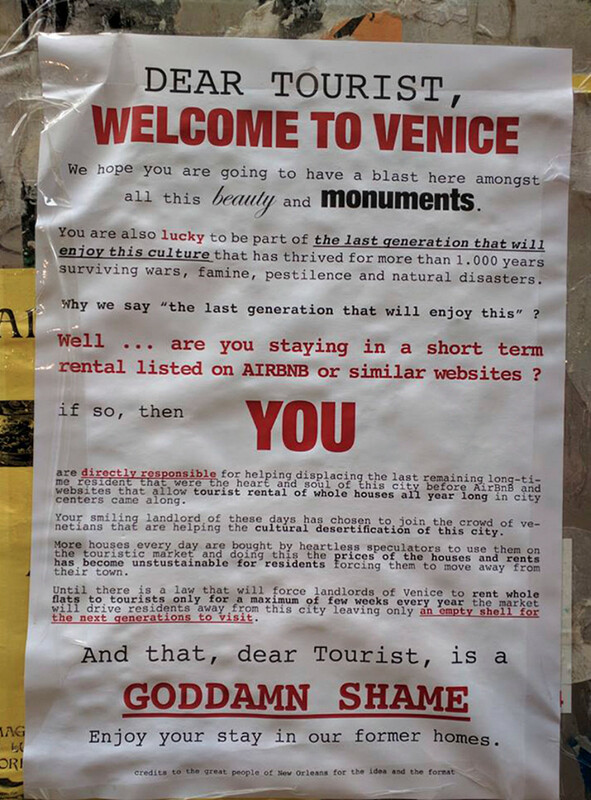 Photograph with title ‘AirBnB Sign One’, ‘AirBnB Sign Two’, ‘AirBnB Sign Three’ by Anti-Eviction Mapping Project. 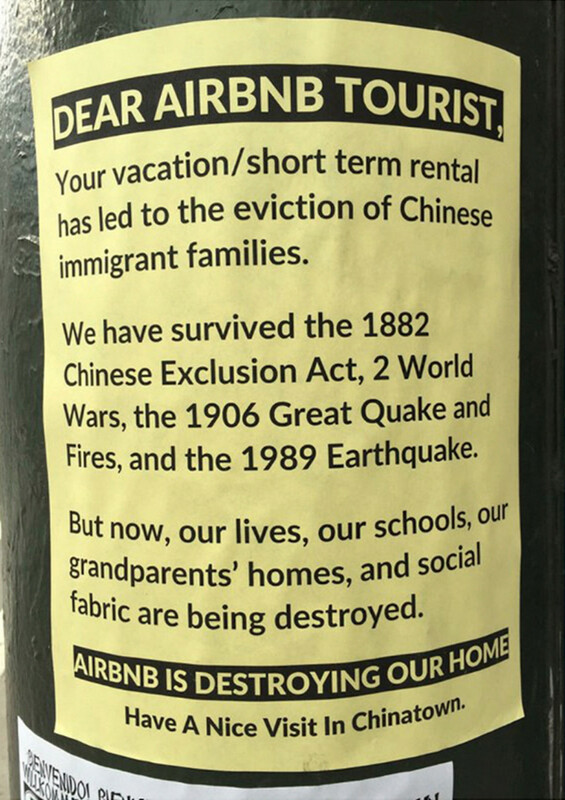 These posters were generated by an array of housing justice collectives and activists from San Francisco’s Chinatown to New Orleans andVenice.They have been used in protest against the gentrifying effects that Airbnb poses upon specific neighborhoods, in which long-term housing is lost and convert- ed into short-term vacation rentals.